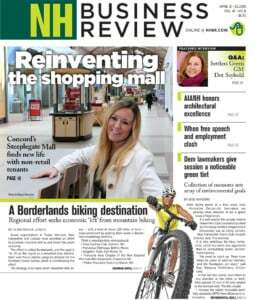 Businesses, homeowners and state regulators all have a stake in ensuring New Hampshire’s natural resources are the cleanest they can be. Right now, the state Department of Environmental Services is preparing a new set of regulations for a group of emerging contaminants, to be presented for public comment in January. The department has been tasked by the Legislature with something it’s never done before: create New Hampshire’s own standards for chemical contaminants in drinking water. The focus is on a group of chemicals known collectively as perfluoroalkyl and polyfluoroalkyl substances (PFAS). Instead of using the federal Environmental Protection Agency drinking water health advisory for these substances — set at 70 parts per trillion — lawmakers directed DES to produce its own number for a safe level, even though EPA’s health advisory is based on extensive analysis of peer-reviewed, scientific literature by epidemiologists and other public health professionals. Reason would indicate the maximum contaminant level for New Hampshire should be the federal advisory level. But New Hampshire lawmakers have, in effect, directed DES to dismiss the large body of science-based evidence that was used to develop the standard and independently develop its own. PFAS have can be found in thousands of products — carpets, cookware, upholstery, mattresses, car parts, food packaging, facial moisturizers, nail polish, even dental floss. Manufacturing with PFAS compounds was phased out in the U.S. between 2002 and 2015, though many of these consumer goods are still around. PFAS compounds are still used in products made in other countries. Although scientists are still learning about PFAS, the technology for measuring all sorts of compounds in water and air samples has never been better. New techniques can detect concentrations as low as parts per trillion. Yet many policymakers and members of the public are confusing the issues around detection technology with acceptable contaminant levels. In other words, just because we can now detect something at increasingly smaller concentrations doesn’t automatically mean it’s unsafe. We may not be comfortable with the thought of any PFAS in our drinking water, but the reality is that “safe levels” based on a preponderance of scientific evidence are just that: safe. The EPA’s current health advisory level of 70 parts per trillion is roughly equivalent to 70 grains of sand in an Olympic-size swimming pool. If the preponderance of scientific evidence shows this health advisory should be modified for safety, then we should do so. But that determination should be based on peer-reviewed scientific research, not by relying on a small number of studies that stand in contract to most of the current research or selecting a number that feels about right. DES has always been a fair-minded agency. They’ve worked proactively to educate the business community about rules and requirements and partnered with companies to ensure compliance with environmental standards. But it’s not inaccurate to say the department will be hard-pressed to engage in the sophisticated research necessary to override EPA’s health advisory. New Hampshire lawmakers have put DES, with minuscule staff, resources and expertise compared to EPA, in the questionable position of determining appropriate surface water and groundwater contamination levels. To those who ask what harm it would do to be even more aggressive on these standards, the answer is it would create significant financial harm to utility ratepayers, taxpayers and businesses with no discernable environmental or health benefit. Industry will be held responsible for mitigation at levels not seen before. Municipalities and water utilities will bear a similar expense, passed on to ratepayers. Even homeowners could be on the hook if it can be determined your neighbor’s well was contaminated from PFAS in the wall-to-wall carpet you left outside behind the garage and forgot about. The existing system is working. Both the state and federal governments have rules in place for dealing with water-quality issues, identifying responsible parties and enforcing remedial actions and penalties. The larger issue is that the process of setting acceptable standards should be driven by science and research, not emotion. We encourage state regulators to take a sober, probative look at the issue and not rush to change the state’s surface water and groundwater levels for the sake of “doing something.” In short, we trust DES will continue its practice of acting based on science. Jim Roche is president of the Business and Industry Association of New Hampshire.